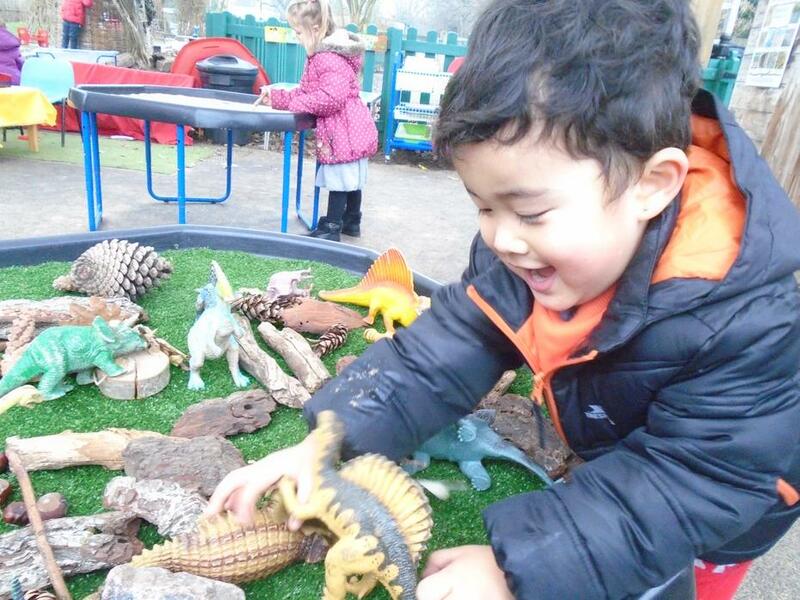 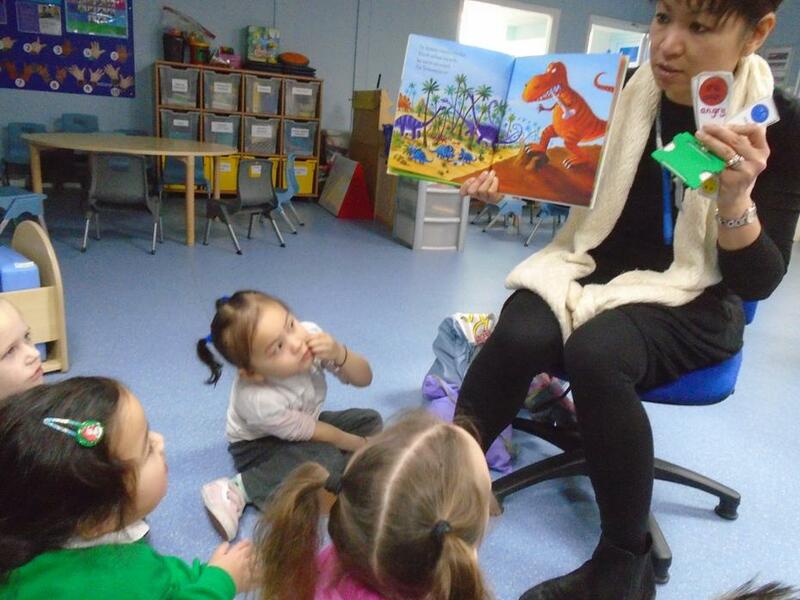 Our focus story in Nursery is 'Dinosaurs Love Underpants' by Claire Freedman and Ben Cort. 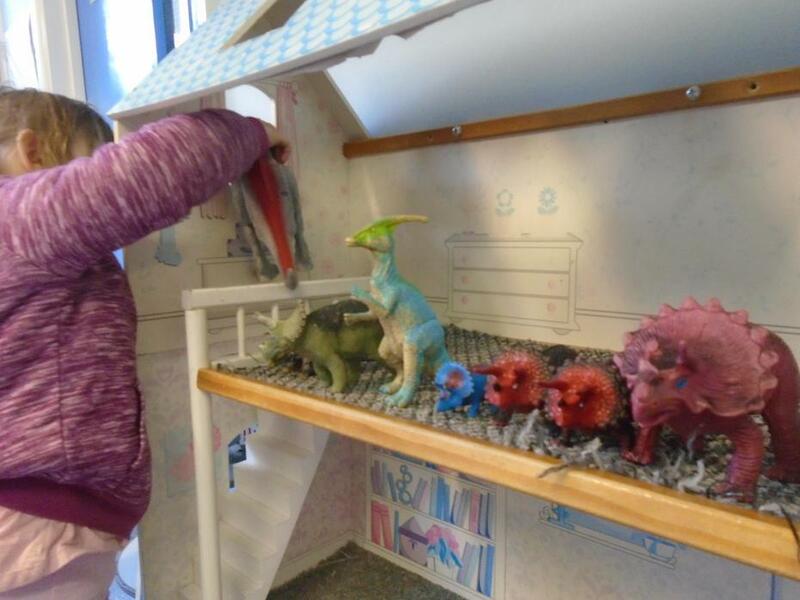 A fun rhyming story of how pants and knickers wiped out dinosaurs and saved mankind. 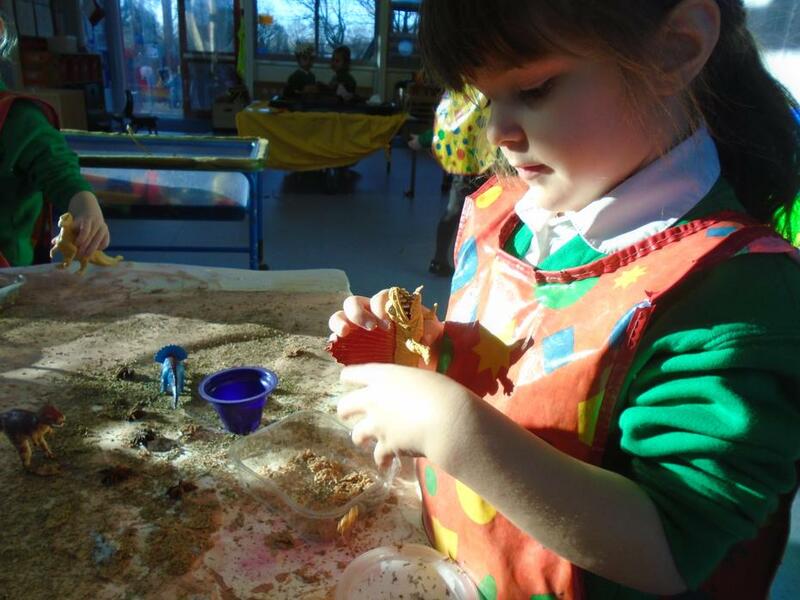 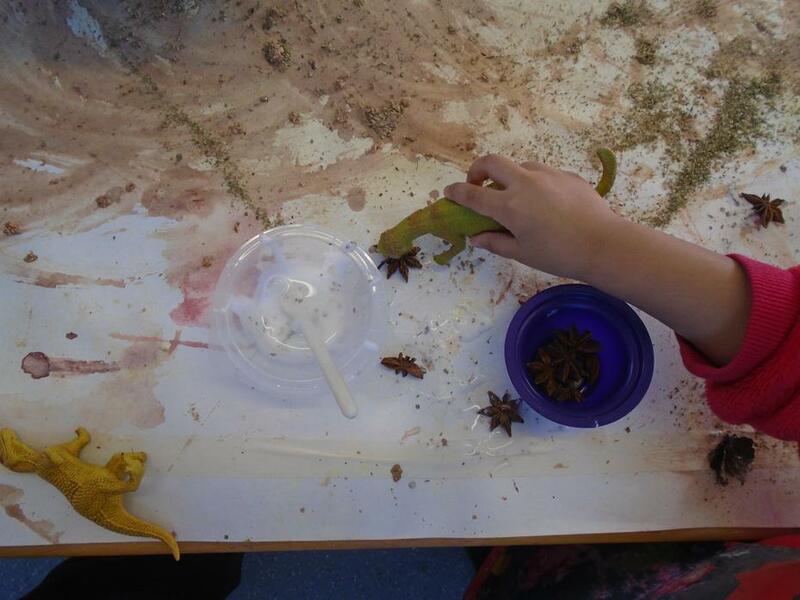 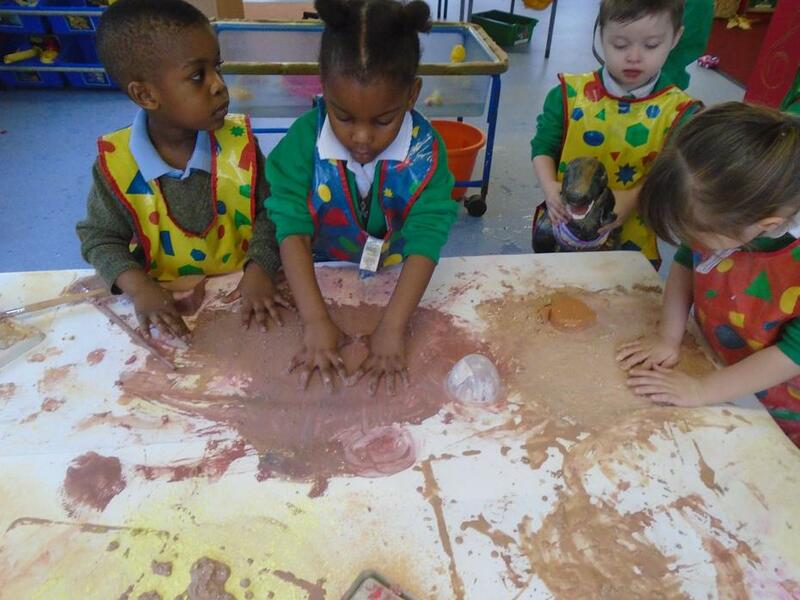 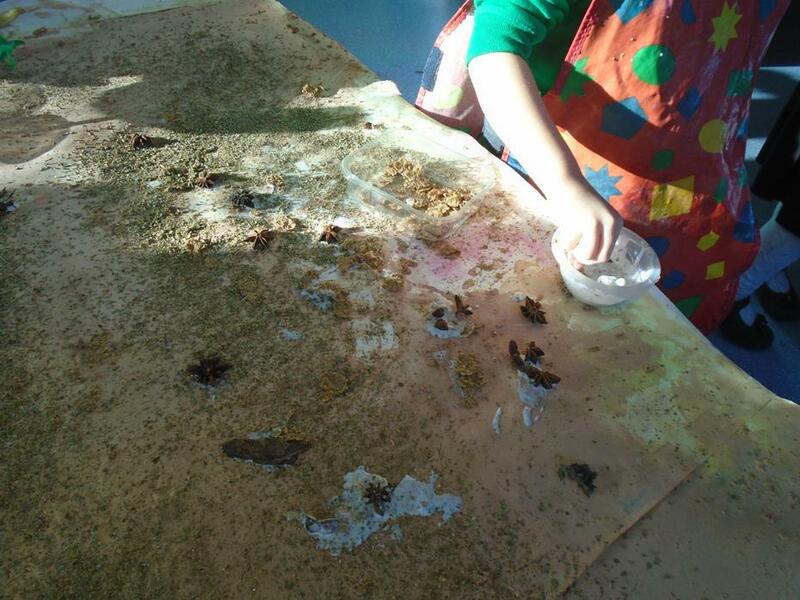 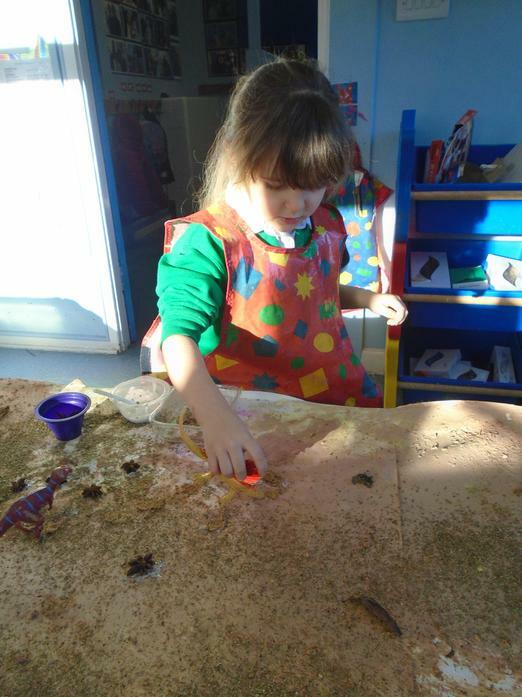 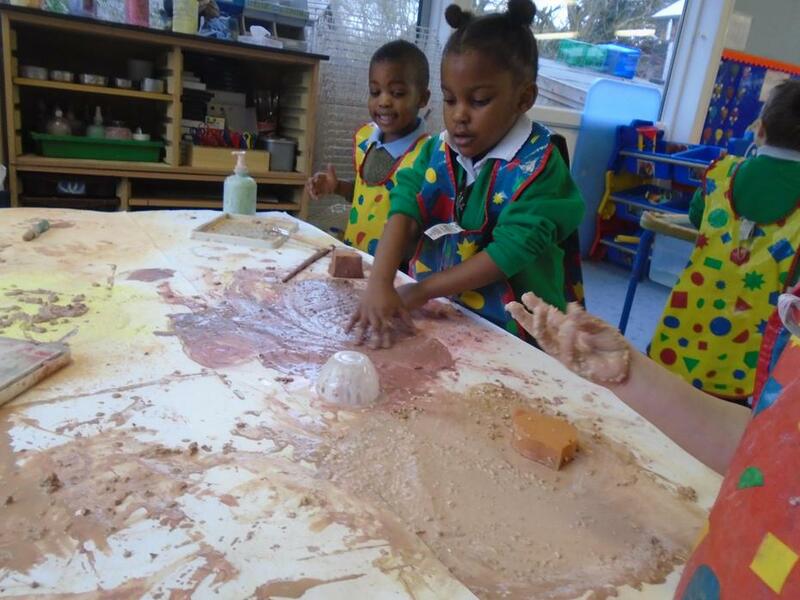 The children had fun mixing paint to make a dinosaur swamp. 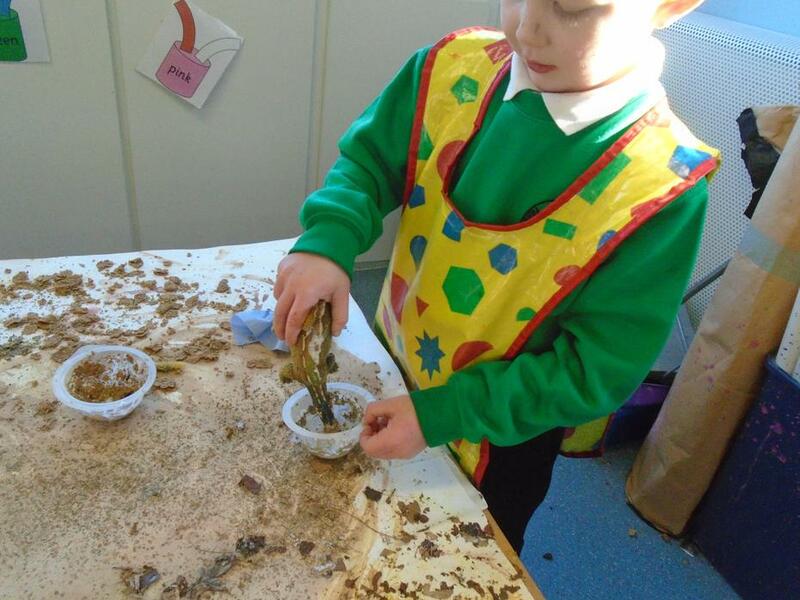 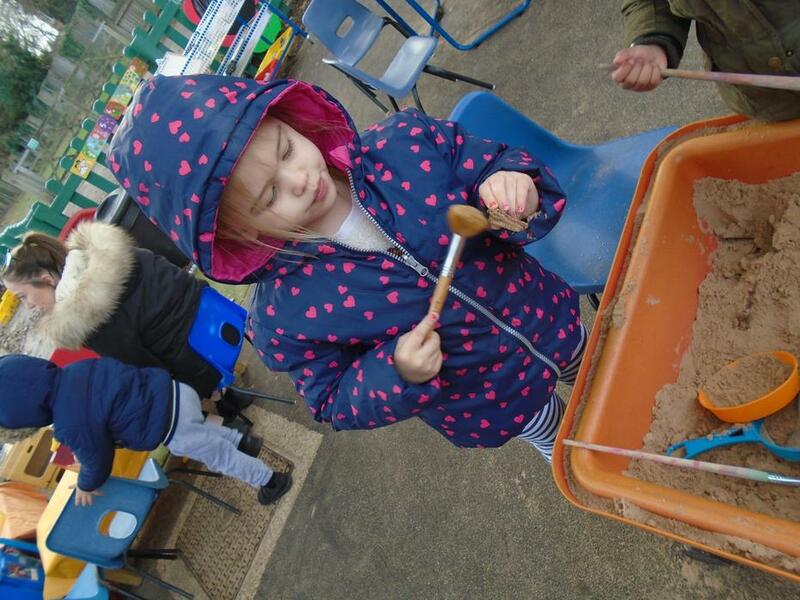 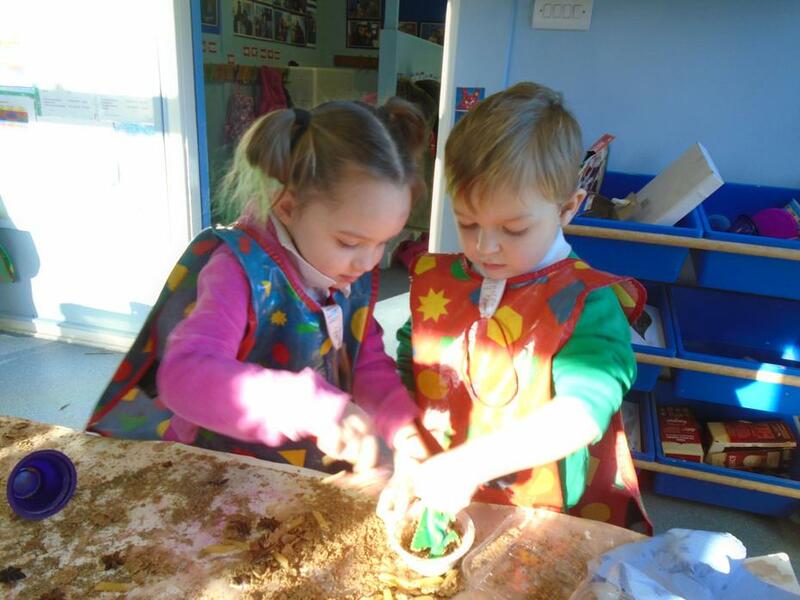 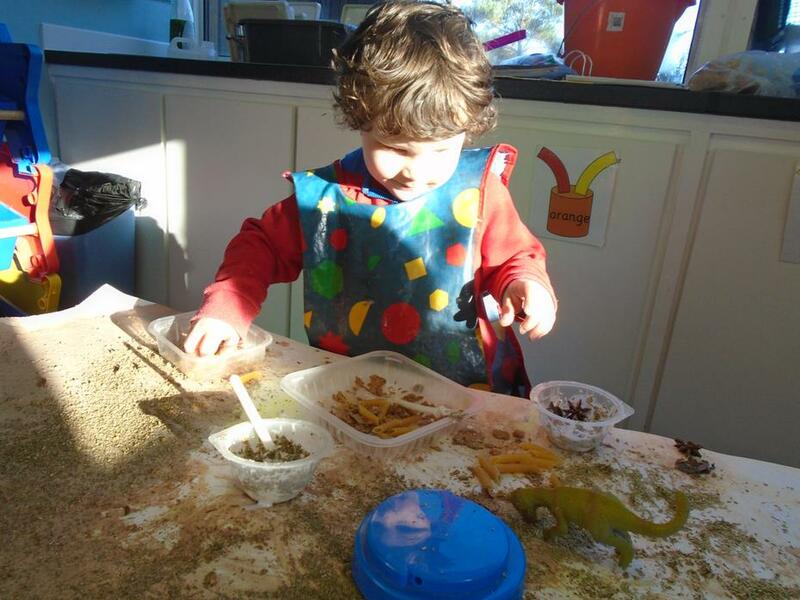 They learnt about different habitats through small world play in builders trays using a range of natural materials. 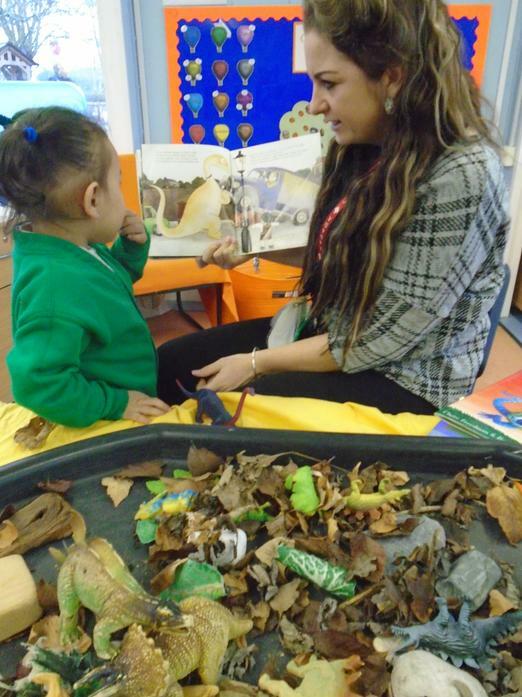 This story supports children's communication and language skills, in particular, helping them to talk about feelings. 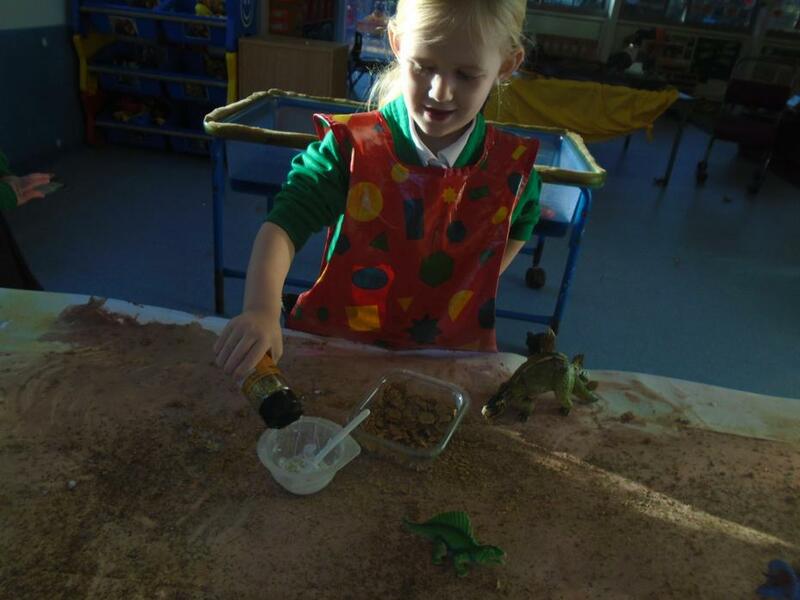 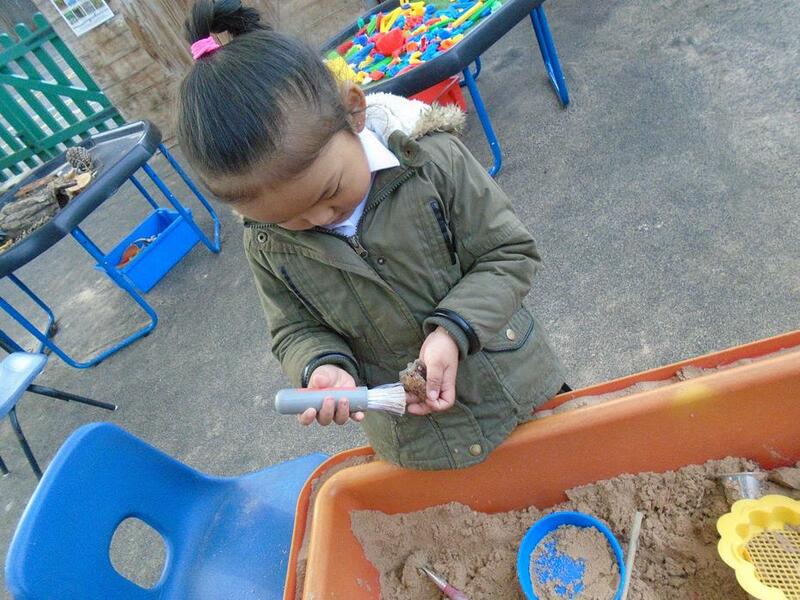 The children also had a dinosaur dig to find relics in the sand. 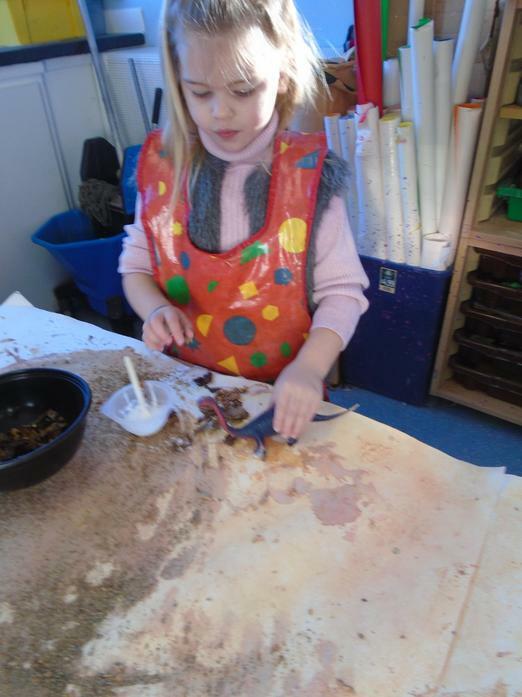 Brushes were used to clean the relics, just like real Archaeologists.